The recent (10th Annual!!) 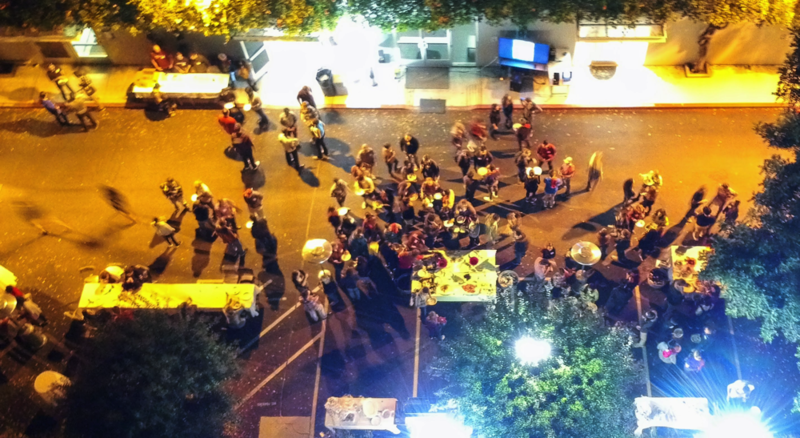 Stanford ME218 Alumni BBQ was definitely one for the record books! We had another great turnout with around 200 people, including some current ME218 students as well as alumni as far back as the early 90’s. One of the best things about meeting up each year is hearing about all the cool stuff ME218ers are up to. In addition to a night of talking shop over beers and burgers, a survey gave us a group-wide snapshot of a few interesting things. AI has really been picking up steam the last few years! Open mic included job announcements from 219 Design, BetterDrive, Carbon, Juul Labs, eero, Waymo, Ooma, Transcript, Tactical Haptics, and Amped Innovation. We also had announcements from two Stanford Engineering alumni who represent the venture capital companies Root Ventures and Lemnos VC. They are ready to help realize the dreams of entrepreneurial ME218ers! One fun thing about working on and with cutting-edge technology are all the toys, including virtual, augmented, and mixed reality headsets. (I think those “toys” will revolutionize the way we interact with the digital and real worlds.) The recently released Magic Leap mixed reality headset was a big hit. A 218er who works for Magic Leap and I had the chance to chat while a classmate took care of a bunch of “Angry Birds Pigs” that made a fort in the office. In VR, Beat Saber was great for getting people moving while Tilt Brush yielded an impressive collaborative effort. We are already talking about next years BBQ! If you are a Stanford ME218 Alumni and didn’t receive an email invitation, let us know here!